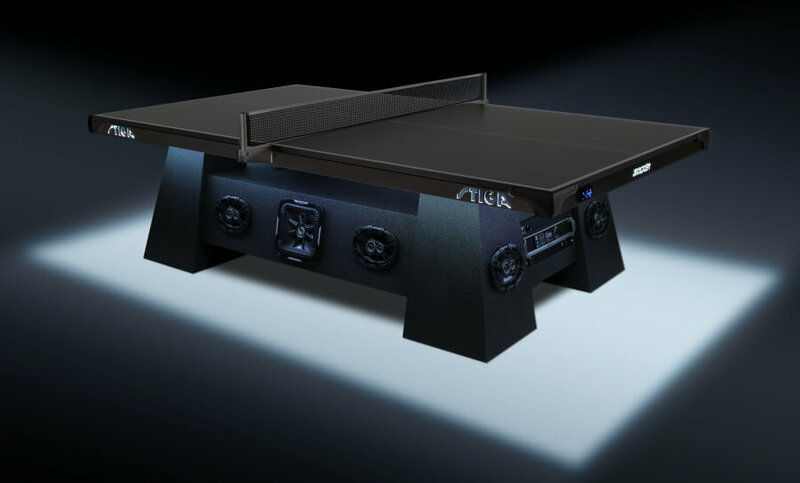 Wherever you are in the world right now, weekend has started or should begin in a short time… What about a Ping Pong game with 2800 watts of sound ? This is what Stiga is offering you ! The STIGA Studio Table’s 2800-watt sound system delivers unparalleled sound quality through its powerful 360-degree free-standing audio – featuring a QSC CXD series professional processing amplifier, two Kicker 12” Solo-Baric L7 Subwoofers and eight Kicker KS Series 3-way 6×9 speakers. Compatible with smartphones and MP3 players using Bluetooth Technology, the STIGA Studio Table perfectly projects amplified sound in all directions. After hours long studio sessions, Stiga Studio would be a welcome entertainment for many musicians.